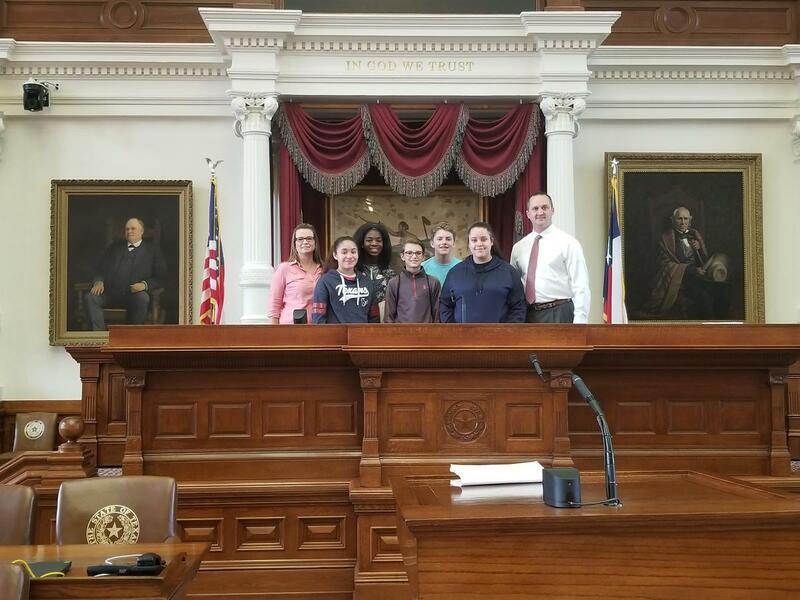 Seven Lincoln Junior High students visited the state capitol in Austin on Monday, March 18th. 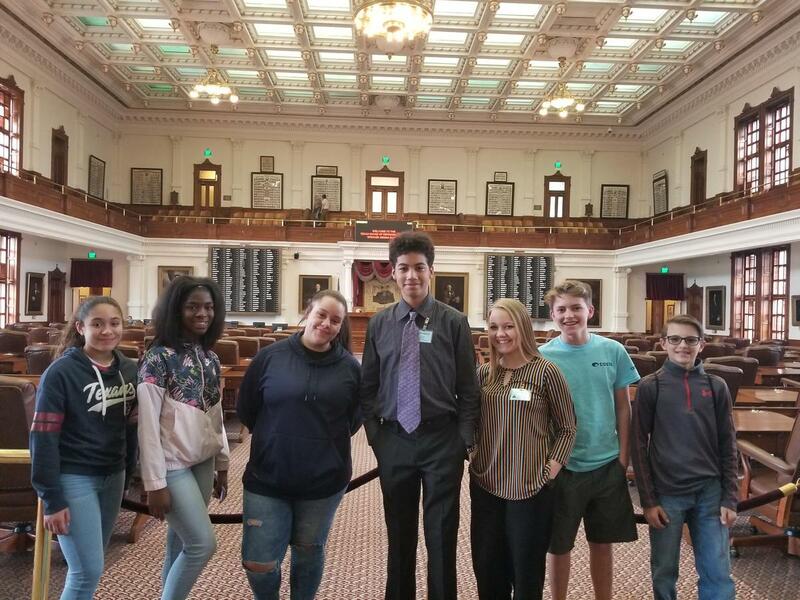 Two of the students were able to participate in the Honorary Page Program, which gives students aged 8 to 18 the opportunity to shadow a state senate or representative's page at the capitol building for a day. The others were treated to an insider's tour of the Capitol by State Representative Ernest Bailes. "It was a great experience for our students," said LJH Counselor Aimie Patrick. 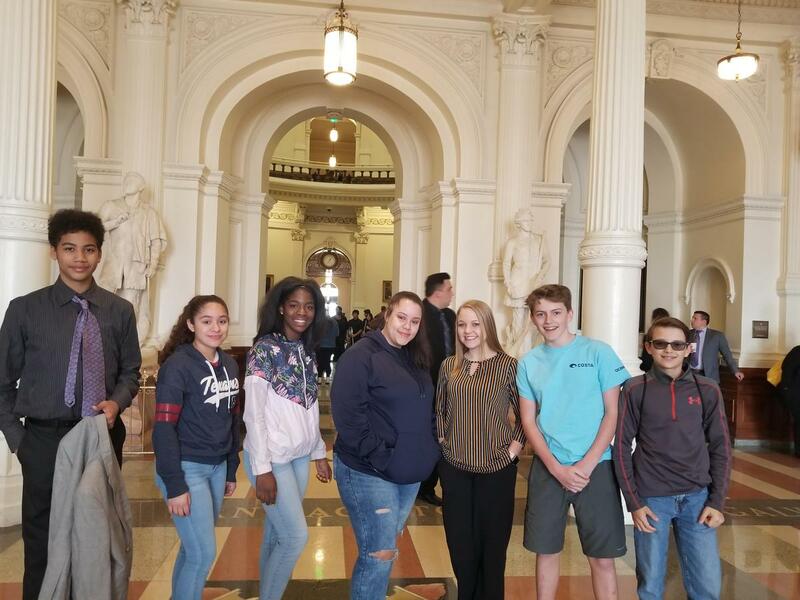 Seven Lincoln Junior High students visited the state capitol in Austin on Monday, March 18th. 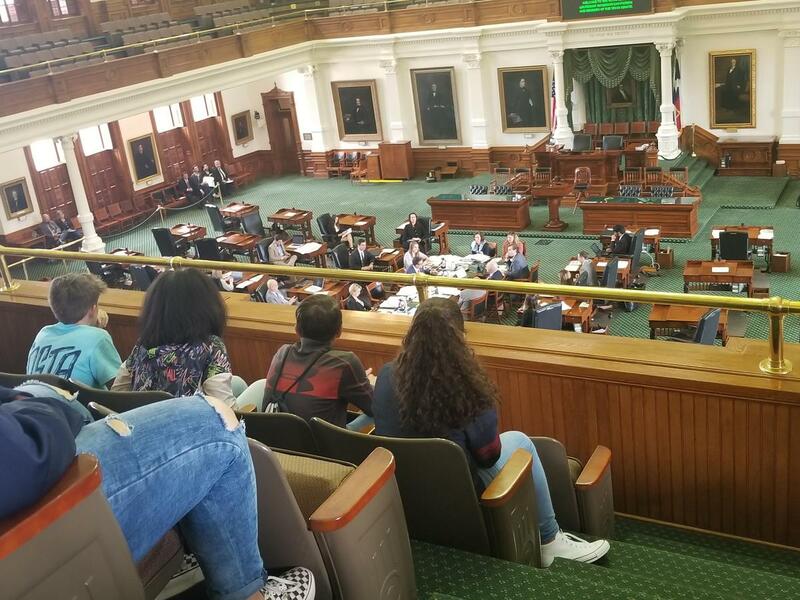 Two of the LJH students, 8th graders Bobbie McBride and Jace Dogins, were chosen to participate in the Honorary Page Program, where they were allowed to shadow a legislative Page at the state capitol building. The other students were treated to a tour of the Capitol by State Representative Ernest Bailes. 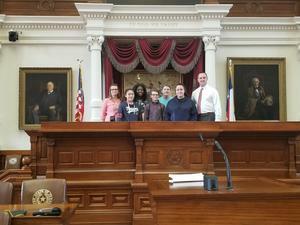 “We got the insider’s tour and were able to walk out on the senate floor,” said LJH Counselor Aimie Patrick. “We learned a little more about Texas history and how the Capitol Building has changed over the years. We also learned that there is a staircase that goes all the way up to the top of the building, where you can actually touch the star at the tippy-top of the building.” Something, Patrick added, that she will not be doing anytime soon. 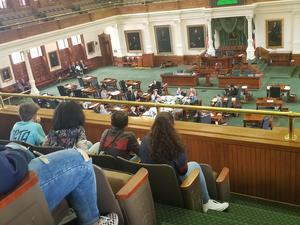 Students also met other (state) representatives and staff members while on tour, and were able to sit in on a committee meeting that was in session. “It was a great experience for our students,” said Patrick.